Moscow Domodedovo Airport, 22 km from Moscow city center. Away. 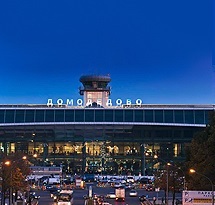 Domodedovo Airport, Russia's largest Airport, serves more than 22 million passengers. If you require reliable, comfortable and affordable transport to and from Moskova Domodedovo Airport, you can make a booking in a few easy steps by clicking on transfer Planning. If you wish to make a telephone booking, you may speak to our dedicated and efficient call center staff members on 216 688 54 00. Rusya transferleri icin lutfen tiklayiniz. Please click for Russia transfers.